Really intense! How selective the damage can be. 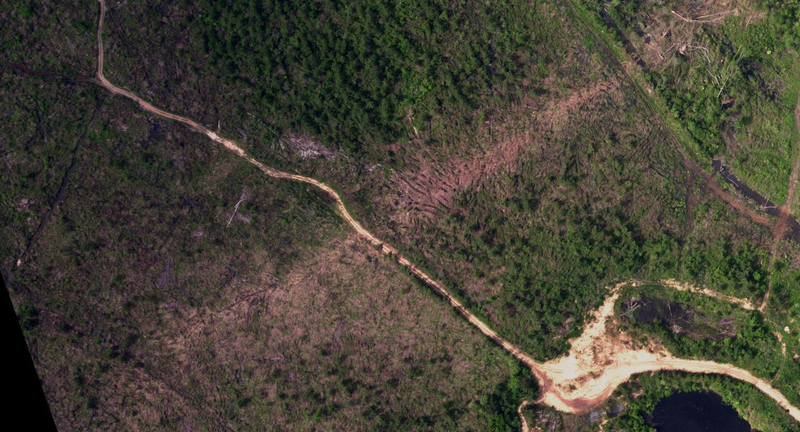 Can you mark the first few pictures with an arrow or something so it is easier to recognize the tornado path? You did a good job of putting the pictures up. 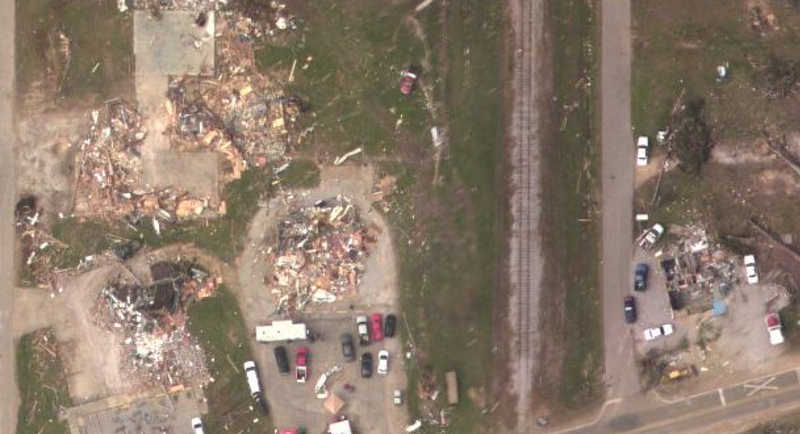 I lived thru this tornado and am still finding pictures on the web that I had not seen before. Scariest few minutes of my life. 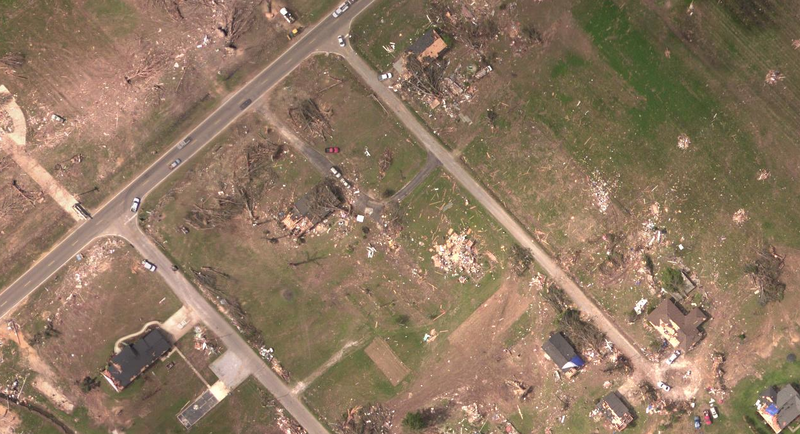 Darnell – if you’re from Smithville, then it’s awesome to be talking to another survivor of this tornado! I’ve talked to a few people from the area via e-mail, and am doing the best I can to make sure I’m properly identifying all of the locations and buildings. 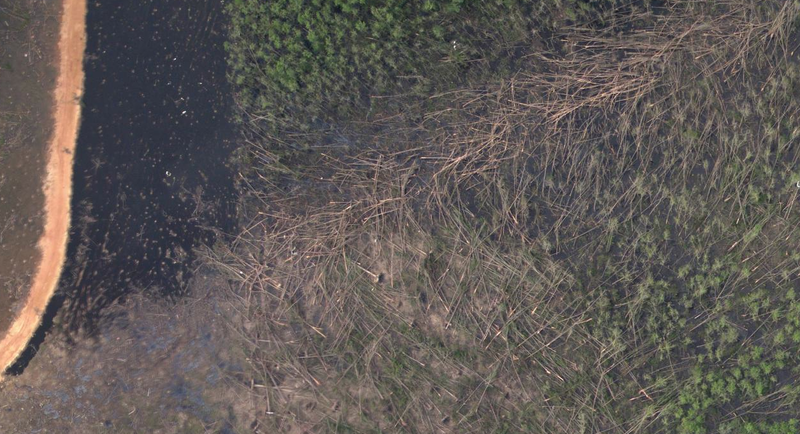 Google Earth has been no help. 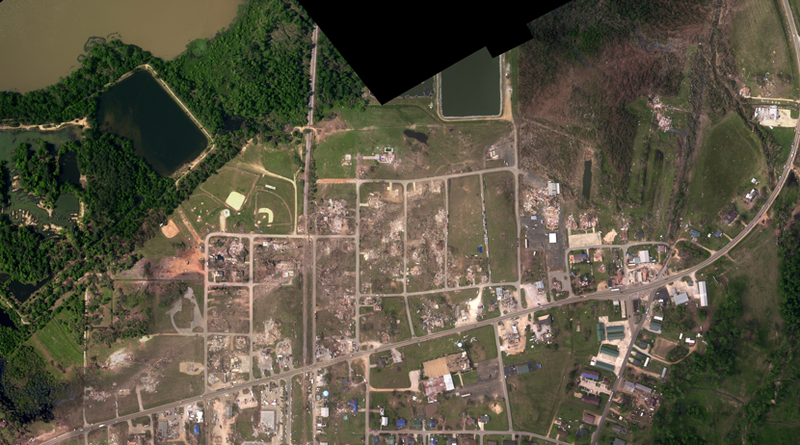 If you see any mistakes (particularly in regards to the building that was swept away at the end of Cemetery Drive, which I believe was a funeral home) then let me know. Yes it was our funeral home. 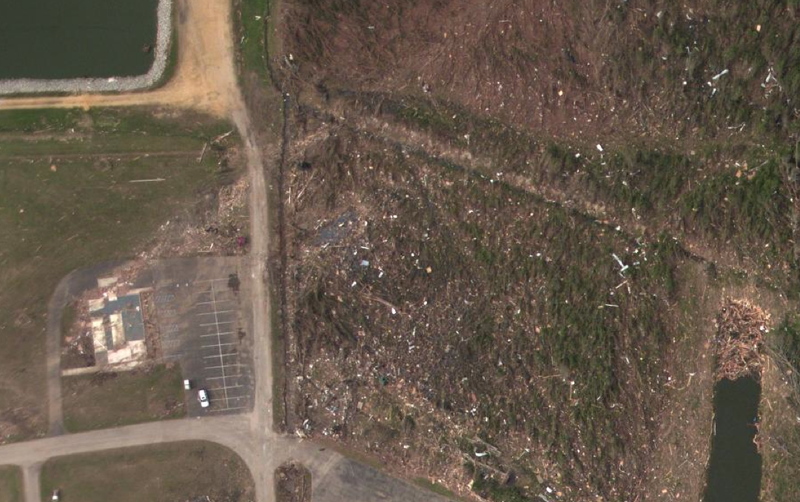 I was at work which was across HWY 25 from Cemetery Dr. We had major damage to our buildings. I can send you some pictures that I made if you want to see them. If you have any pictures I would love to see them! 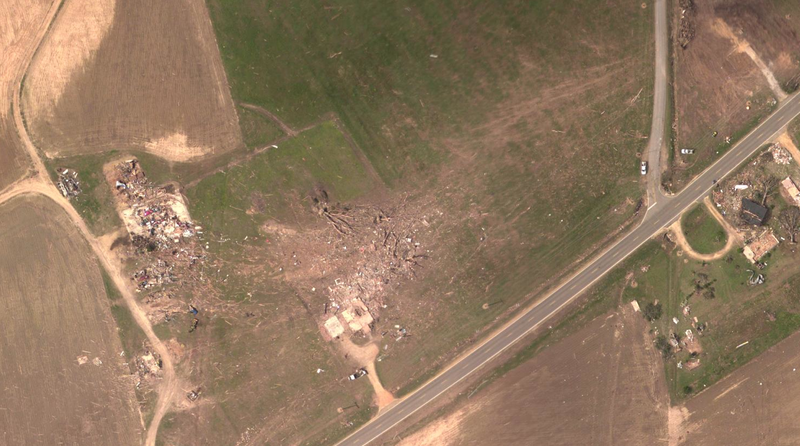 The Smithville tornado was one of the most impressive in history, and I have plenty of aerial photographs, but not many ground level views. E-mail me at extremeplanetmax@gmail.com, or give me your contact info. I sent you some pictures to you gmail account yesterday. Hope you get them. By the way, is it “Merchant Street” or “Market Street” where the underground pipe was pulled up? Francis – Thank you for bringing that to my attention. Market Street is the correct name. Not sure how I made that mistake so consistently. A few interesting details about Smithville (along with most of the outbreak’s violent tornadoes) not sure of the validity of all of them, just thought they might interest you. Wow, excellent article. I have to believe that their statement on the damage to Market Street is correct, so I will change that accordingly. The picture and accompanying text for the storm shelter, how it almost heaved out of the soil and just barely held really made me shiver at what could have happened if the wind gusts were a couple mph faster. 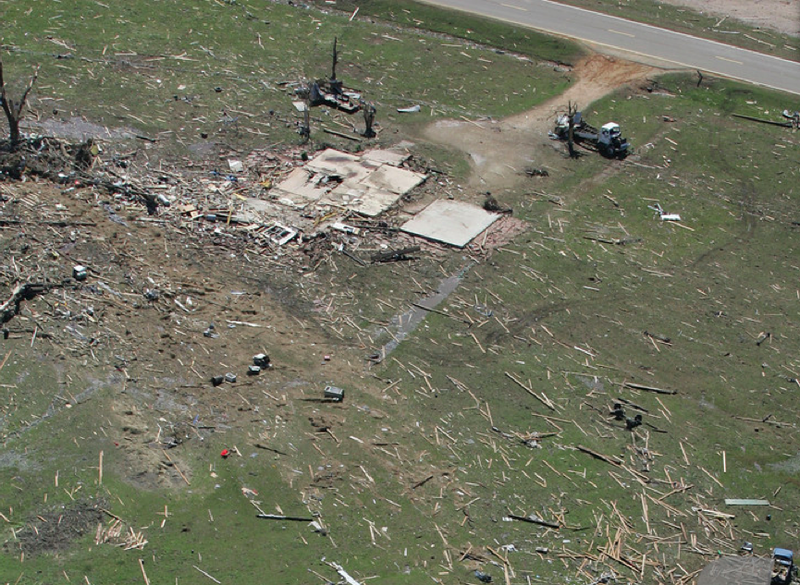 You mention a small, intense core with this tornado and the 2013 Moore tornado. Is such a core why some tornadoes such as the one in this video appear to have two concentric funnels? Or does that relate more to roping out? Note: the tornado I was referring to is around the 3:20 mark. Apparently the t= thing doesn’t work with embedding. 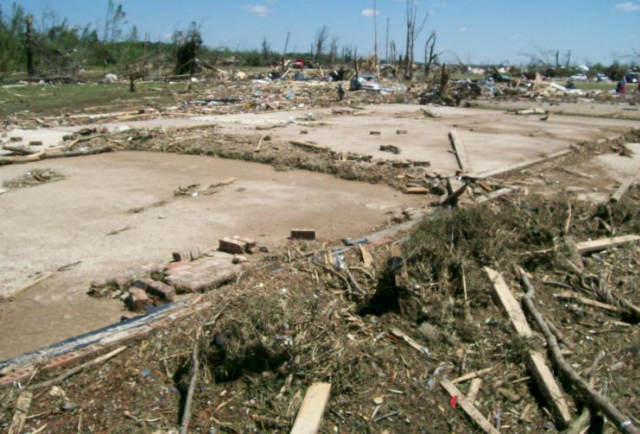 It is hard to believe that it took only 205mph winds to cause this type of damage. 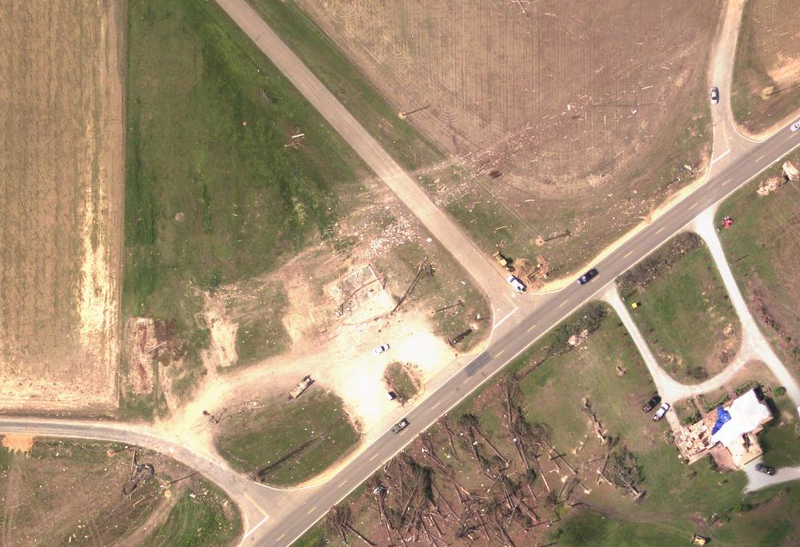 The Smithville tornado was listed by NWS as 1/2 to 3/4 mile wide and had a peak wind of 205mph. 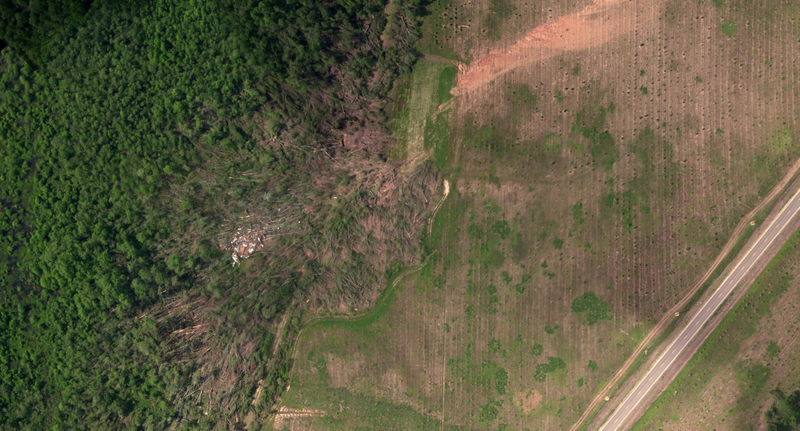 Looking at the aerial views I would think it would take at least 250mph winds to do the type of damage this tornado did. Any thoughts on that. 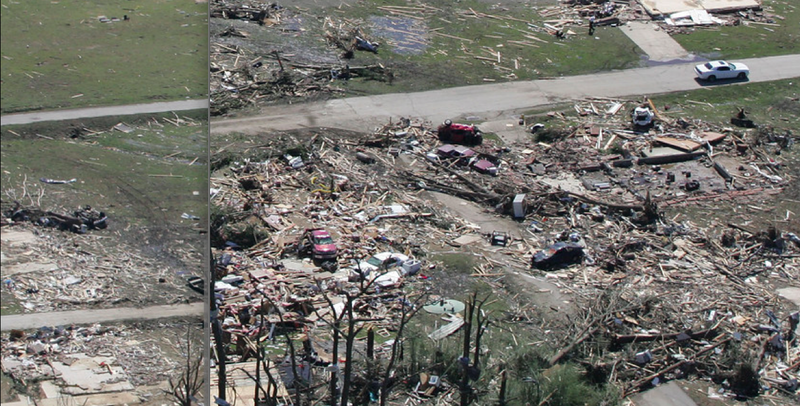 Nick – the tornado depicted appears to be roping out, as you say, but still shows the same basic idea despite being far smaller, weaker and more transparent than Smithville. 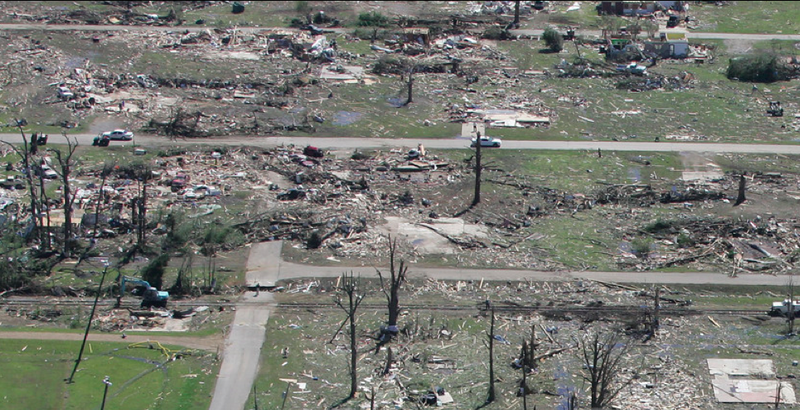 Shane – I believe every tornado given an EF5 rating since 2008 has had winds well over 210mph. The Smithville tornado was EXTREMELY violent and surely had brief gusts well over 250mph. 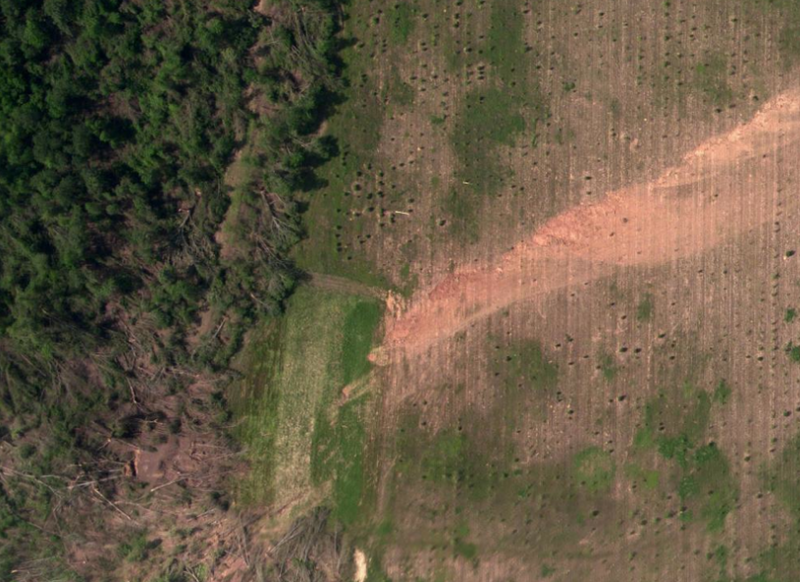 Sort of a weird question, but would you mind telling me where you acquired all these aerial pictures from April 27? (specifically the ones that show the Rainsville damage, and the Smithville/Cordova scouring). 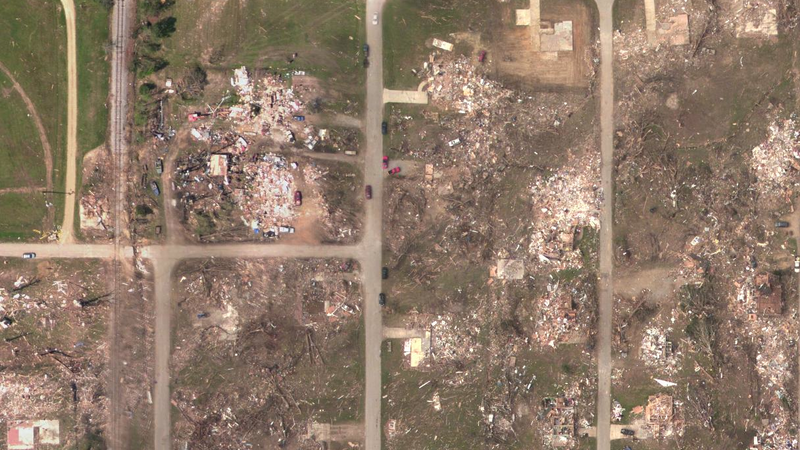 I’m really interested in examining the individual tornado tracks myself. Any help would be great. Also instead of posting it here you can email it to me as well. If Smithville only had brief gusts over 250mph why is it listed ahead of the 1999 Oklahoma Tornado on your top 20? I think the Smithville tornado had gusts well over 250mph. 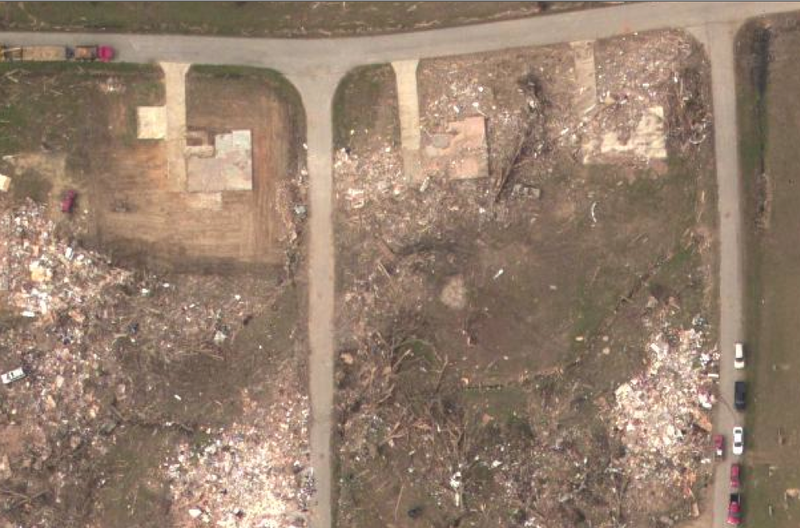 My estimates are far above the EF-Scale’s confines, but I’d say just over 300mph for a brief moment. 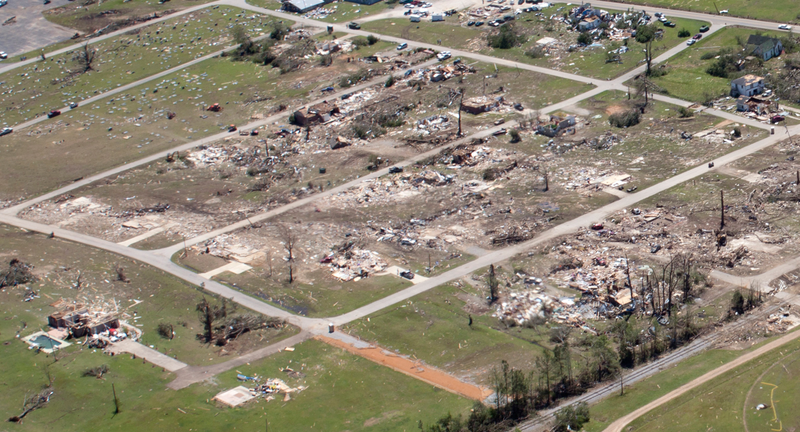 The Smithville and 1999 OKC tornadoes caused comparable home and vegetation damage, but the Smithville tornado’s extreme winds lasted for a much shorter period of time. 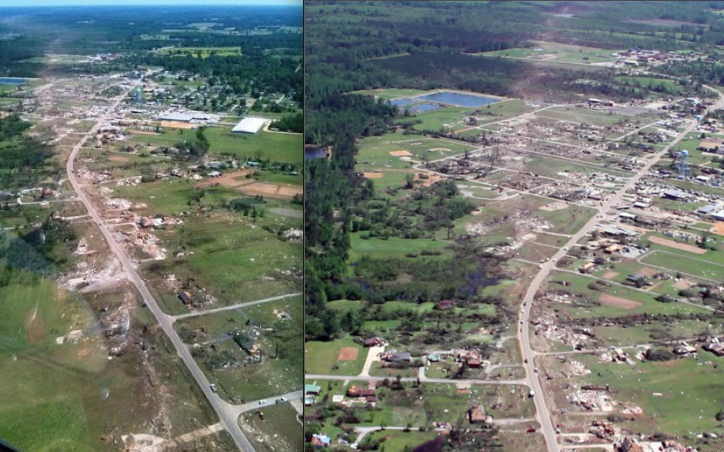 The Smithviile tornado got me thinking about something, have tornadoes touched down instantly as F5/EF5 before? Or is Smithville as close to anything as we have come? Randy – I don’t know if a tornado has ever become an EF5 instantly, but some have very rapidly intensified to EF4 intensity in the first half-mile. 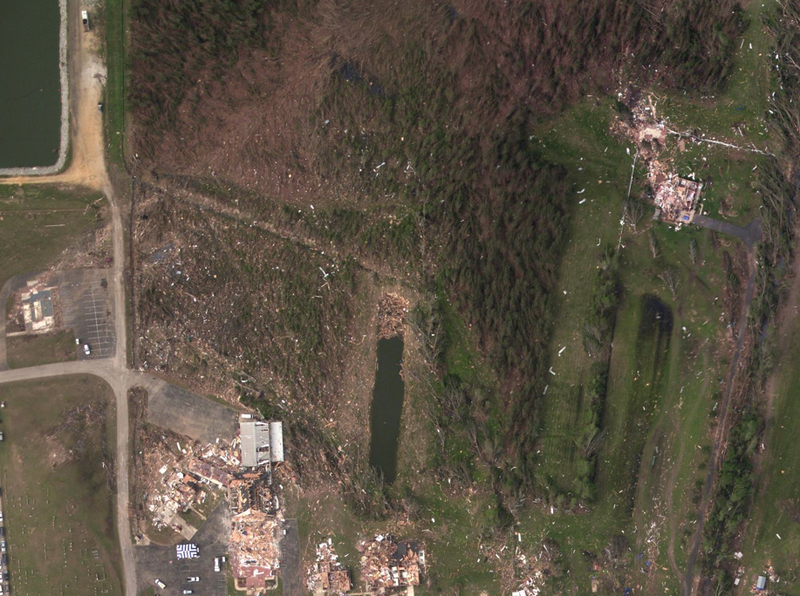 I wrote about an unusual anticyclonic tornado in another post – “Fascinating tornado records” – that caused F4 damage immediately upon touchdown. 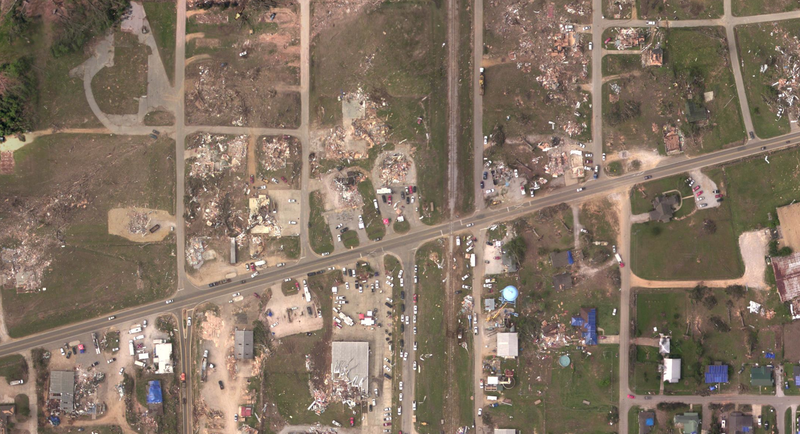 The Smithville tornado reached EF5 intensity faster than any other tornado I can think of. 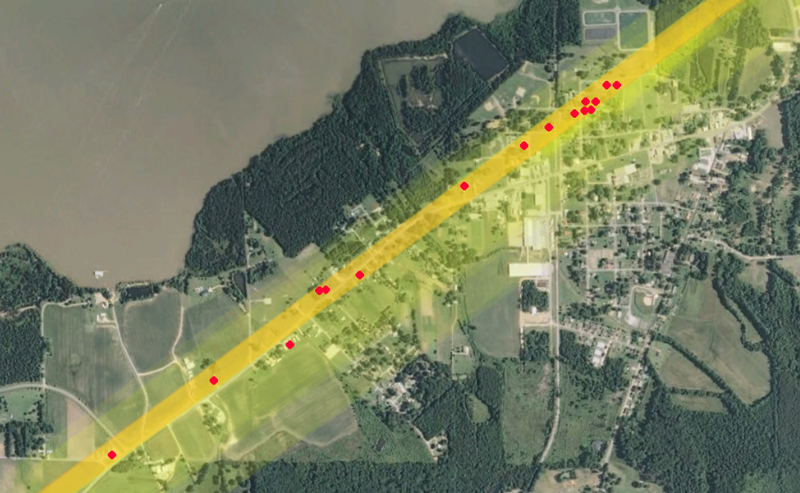 When it is reported vehicles were “thrown a half mile” is this an accurate statement or were they carried aloft in the tornado for a distance and then eventually tossed a shorter distance? I know a vehicle was “thrown” from the Smithvile Ef5 reportedly a half mile leaving a dent in a water tower, is it possible the vehicle grazed the tower while aloft and was then thrown? The second part is I would love to see an article examining the physics behind such incredible feats, ie height, velocity required to move object (vehicle) “x” amount of distance and if there is such a study then would it not put to rest the debate on what the wind speed in these tornadoes are capable of producing? It seems like an easy solution to an answer, physics don’t lie. Great stuff, thanks! I love a good article. Great post!